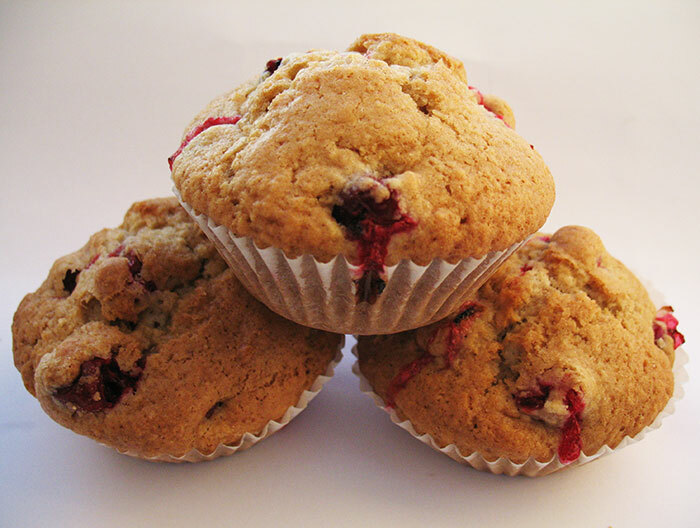 There are loads of recipes for Cranberry muffins, but I wanted mine to be full of the same sort of spices as the Brown Butter Pumpkin Muffins from last time. 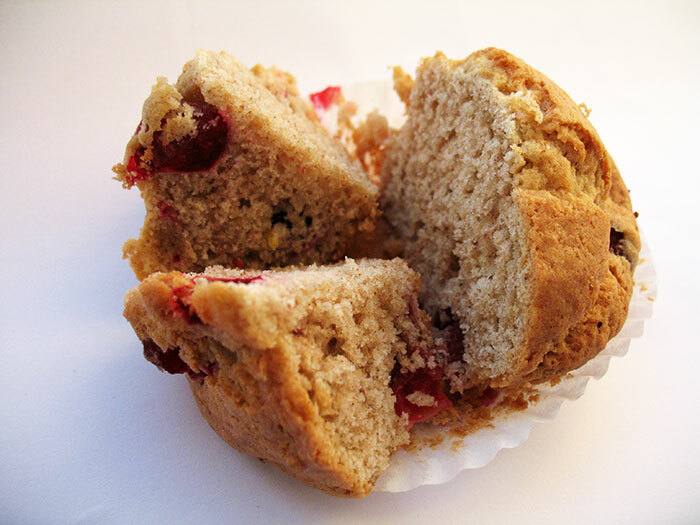 I found this recipe for Nicely Spicy Cranberry-Pear Muffins with Crystallized Ginger on Kitchen Lane. In the end I simplified it quite a bit as I believe cranberries, crystallised ginger and pear might all be a bit too much together. Preheat the oven to 220oC (425oF). Line a muffin tin with liners. Mix together the flour, sugar, baking powder, soda, cinnamon and ginger in a large bowl. In a smaller bowl beat the egg, oil and yoghurt using a whisk. Add the milk, vanilla and lemon zest. Whisk in the liquids into the flour mixture, but do not over mix. Once all the dry ingredients are moistened fold in the fresh cranberries. Divide the mixture into your muffins liners. Bake for 14-17 minutes until golden and they spring back when pressed. Remove from pan and cool on a wire rack for 5 minutes. 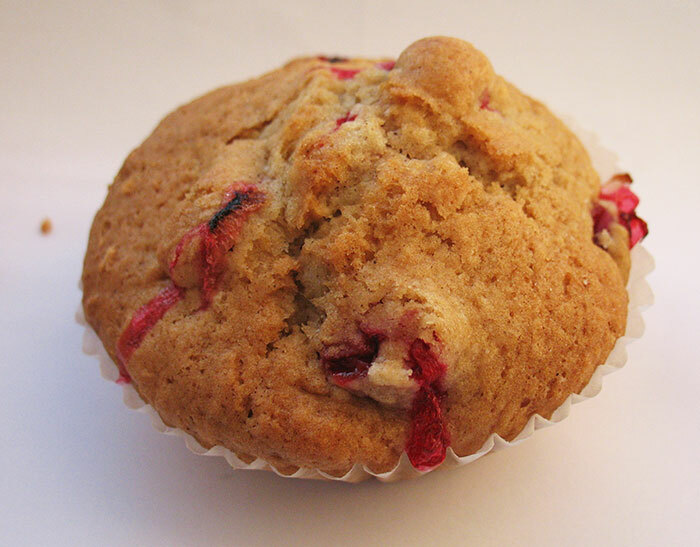 The muffins were lovely and moist, the sweetness of the muffins did well to balance out the tartness of the cranberries. I loved the way the cranberries burst (rather like blueberries in muffins do) leaving pretty pink trails.